This post is in collaboration with Smirnoff Vodka. All opinions are my own. Please drink responsibly. Can you believe that Valentine’s Day is just around the corner? 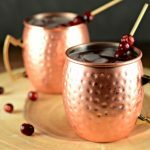 I’m sharing a few delicious Valentine’s Day cocktails with all of you, the first one was the Caramel Creme Brulee Martini and today I have a Cherry Lime Moscow Mule Cocktail for your enjoyment. 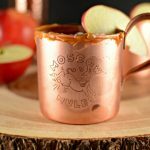 Moscow Mules have been so popular in years past (and how can you not love them, especially when you get to enjoy them out of awesome copper mugs). 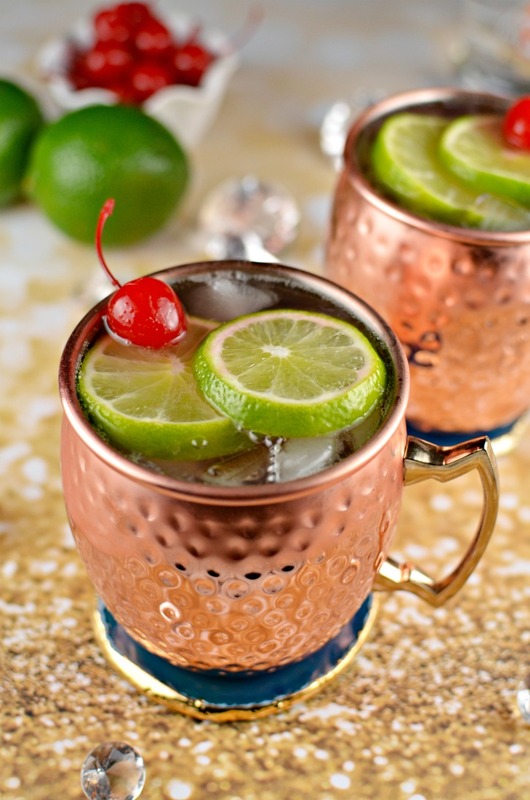 The Cherry Limeade is a great flavor to combine with the cherry ginger beer. It gives a nice sweetness to an otherwise spicy ginger beer. 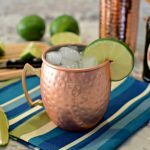 Since Smirnoff is the original vodka used in Moscow Mules 75 years ago, it is the perfect vodka to use in this Moscow Mule recipe. It adds a smooth kick to the drink, and makes it even more delicious. 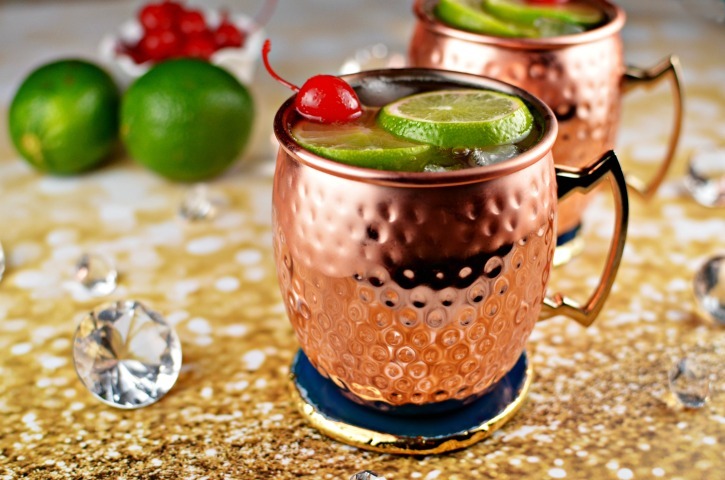 While this Cherry Lime Moscow Mule is perfect for Valentine’s Day, it could also be enjoyed throughout the year. I can imagine sipping it on the back porch watching the sunset on a warm summer evening. How are you celebrating Valentine’s Day? 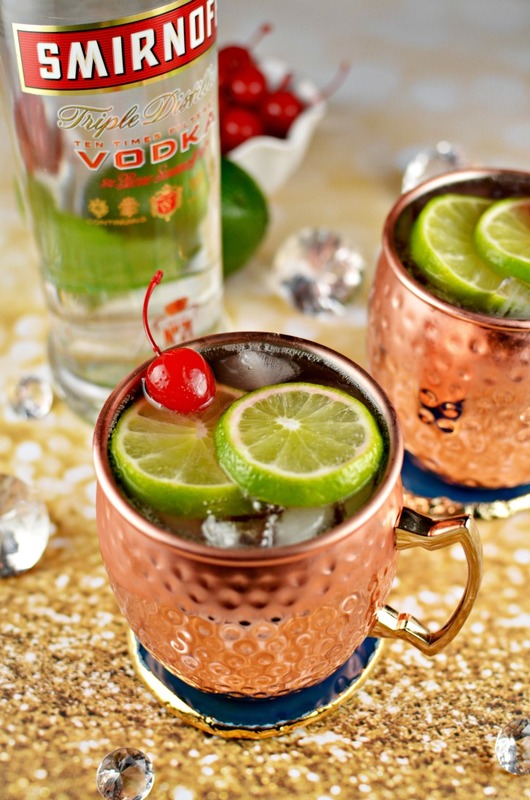 I love cherry and lime together! Thanks for sharing on the What’s for Dinner link up! 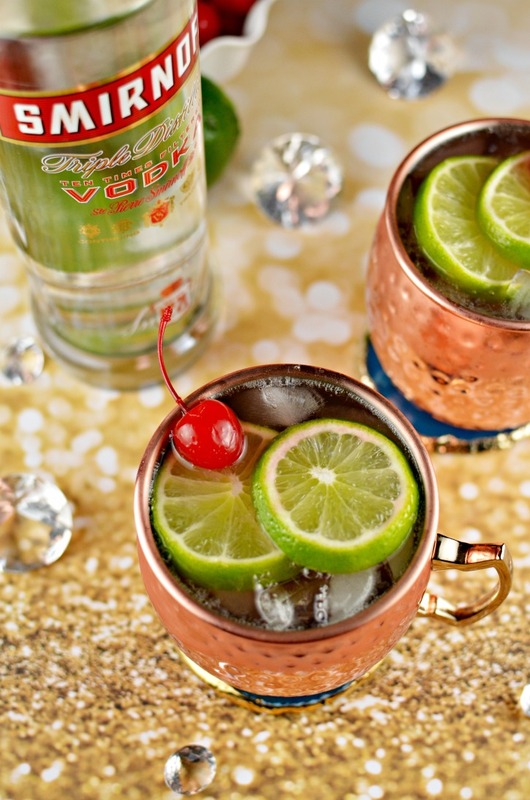 I love the cherry lime twist you put on this! 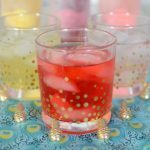 I’m saving this recipe for a refreshing drink on a hot summer day! Pinned! I found you at the What’s Cookin Wednesday link party. What a gorgeously delicious cocktail! I’ve never had this combination before! Sounds cool and refreshing! Thanks for sharing on the Merry Monday Link Party.